Ribit invites you to ‘Shine & Rise’ - our bright and buzzy speed-mentoring breakfast on International Women’s Day to connect tertiary women students to inspirational innovation leaders. We are excited to announce that Dr Cathy Foley, CSIRO’s Chief Scientist, will be our keynote speaker and join us during this special breakfast event. 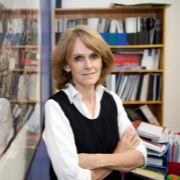 Dr Cathy Foley is the Chief Scientist for the CSIRO. Dr Foley is a highly regarded physicist and science leader, who has worked with superconductors and advanced materials transformations. She is known for her interests in physics, science education, women in science, science in the media and nuclear disarmament. Dr Foley has won many medals and prizes including the Telstra Women’s Business Award for Innovation, NSW Premier’s Women of the Year, the Eureka Price and is a Fellow of the Academy of Technological Sciences and Engineering (ATSE). Liz is an outstanding leader who heads Communications for the amazing global design platform Canva – whose head office is in Sydney. In less than 5 years, Canva has developed a user base across 190 countries who have created over 1 billion designs, and now supports staff of 500+ people. 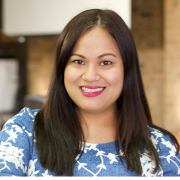 Prior to joining Canva, Liz worked in comms roles at the CSIRO’s Data61 and at Red Agency, Ogilvy PR, Recognition PR and Edelman. At Red, Liz was part of the senior team which led the agency to be named by Public Relations Institute of Australia as the PR Agency of the year (2014) and won a further 25+ campaign awards at both international and national award shows. She also managed the first Australian PR campaign to win a Cannes Lion. Liz has done PR for Microsoft, Google, SuccessFactors (an SAP company), Capgemini, AT&T, Fairfax Digital and Indiegogo. She also believes in making a difference, contributing to several comms campaigns for NFPs including the Australian Literacy and Numeracy Foundation, WWF, One Young World and the Sony Foundation. Previously television presenter and mathematical expert on the SBS show 'Letters and Numbers'. 7:00AM Doors open, check-in, pastries, fruit, coffee & smoothies!